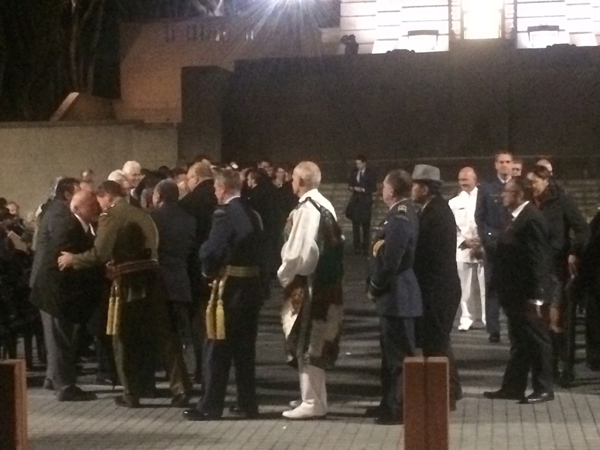 Not sure how many of you were up before dawn thins morning, but those involved with the creation of Pukeahu – the national War Memorial Park in front of the carilon tower in central Wellington – and directly above the Arras tunnel – were up at 4.30 this morning for a blessing and lengthy welcome of the tribes to the land on which sits the most prestigious piece of architectural landscape design ever seen in New Zealand. Anyway – superb, superb level of quality in the work, both in the exquisite detailing of the design, as well as the careful craftsmanship of the completed product on site. 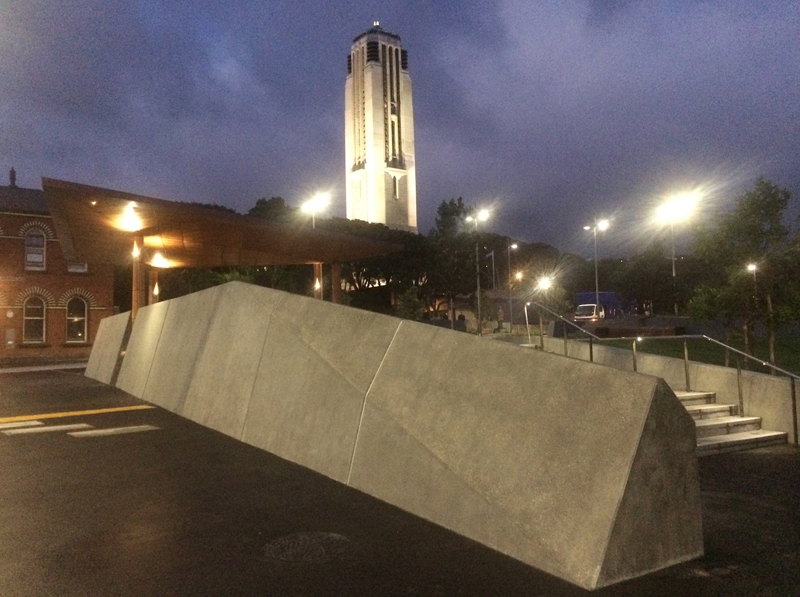 So far there are only the two War Memorials – the New Zealand memorial that has been there for some time – now directly opposite the Aussie memorial, of the giant red sandstone blocks and inset carved panels. I’m sure there is going to be a lot more written on this project, by better people than me, but for now, just want to say thank you and well done to all the workers who have produced such a stunning piece of work. I’m sure no expense has been spared in order to get it to you – to us – on time (actually, before time). And it looks fantastic. 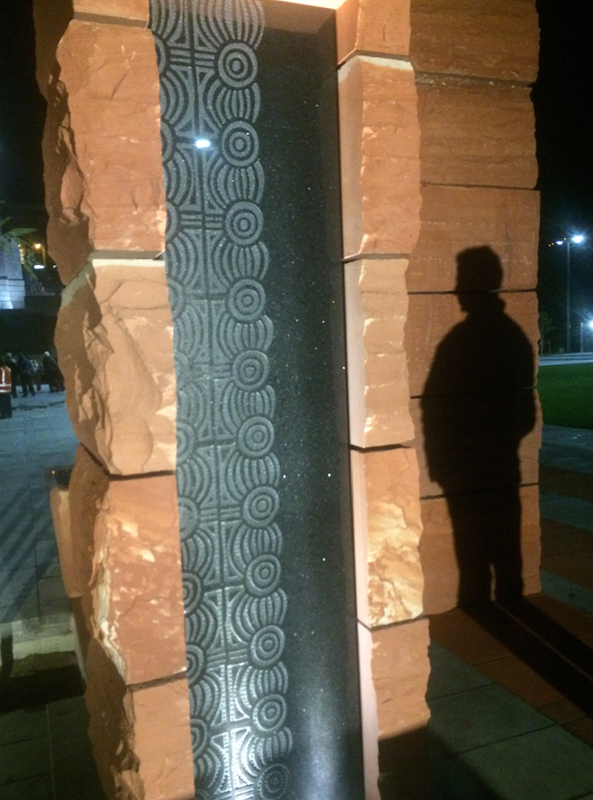 And of course, now, a month later, we will have the real opening with the ANZAC Day commemorations of the park, starting at about 4.30 am again, on April 25. Should be a grand spectacle. One hundred years ago, Wellingtonians came out in their thousands to watch the young men go off to war with their farm horses. A century later, how many will turn up to see the commemoration of their most deathly defeat? Gallipoli is nothing to be proud of really: a most stupid waste of human life. Nothing gallant about dying in a ditch on foreign soil.